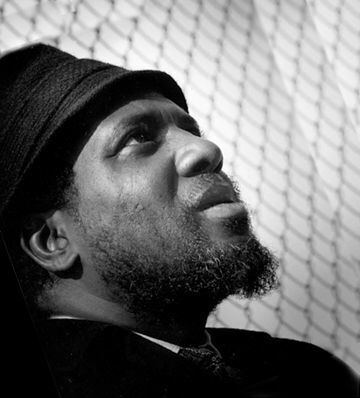 Thelonious Sphere Monk (, October 10, 1917 – February 17, 1982) was an American jazz pianist and composer. Monk had a unique improvisational style and made numerous contributions to the standard jazz repertoire, including "'Round Midnight", "Blue Monk", "Straight, No Chaser", "Ruby, My Dear", "In Walked Bud", and "Well, You Needn't". Monk is the second most-recorded jazz composer after Duke Ellington, which is particularly remarkable as Ellington composed more than a thousand pieces, whereas Monk wrote about 70. 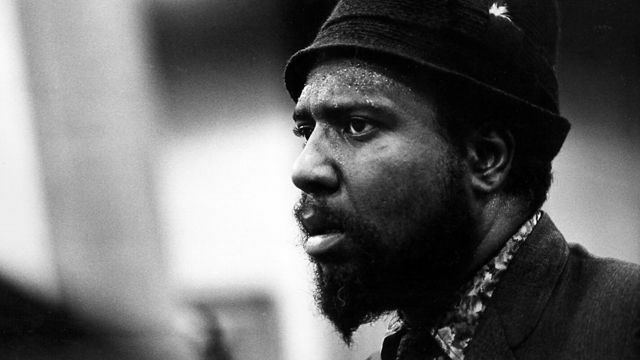 His compositions and improvisations feature dissonances and angular melodic twists, and are consistent with Monk's unorthodox approach to the piano, which combined a highly percussive attack with abrupt, dramatic use of switched key releases, silences and hesitations. He was renowned for his distinctive style in suits, hats, and sunglasses. He was also noted for an idiosyncratic habit observed at times during performances: while the other musicians in the band continued playing, he would stop, stand up from the keyboard, and dance for a few moments before returning to the piano. Monk is one of five jazz musicians to have been featured on the cover of Time, after Louis Armstrong, Dave Brubeck, and Duke Ellington and before Wynton Marsalis. 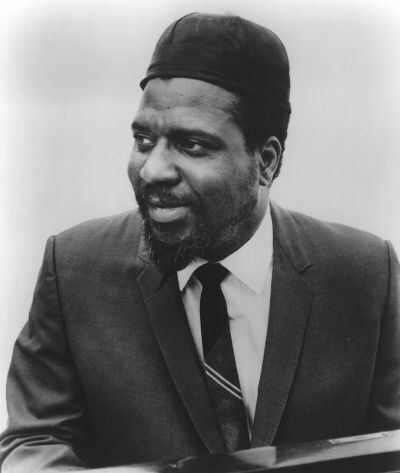 Thelonious Sphere Monk was born two years after his sister Marion on October 10, 1917, in Rocky Mount, North Carolina, the son of Thelonious and Barbara Monk. His badly written birth certificate misspelled his first name as "Thelious" or "Thelius". It also did not list his middle name, taken from his maternal grandfather, Sphere Batts. A brother, Thomas, was born in January 1920. In 1922, the family moved to 243 West 63rd Street, in Manhattan, New York City; the neighborhood was known as San Juan Hill because of the many African American veterans of the Spanish-American War who lived there (urban renewal displaced the long-time residents of the community, who saw their beloved neighborhood replaced by the Amsterdam Housing Projects and Lincoln Center for the Performing Arts). 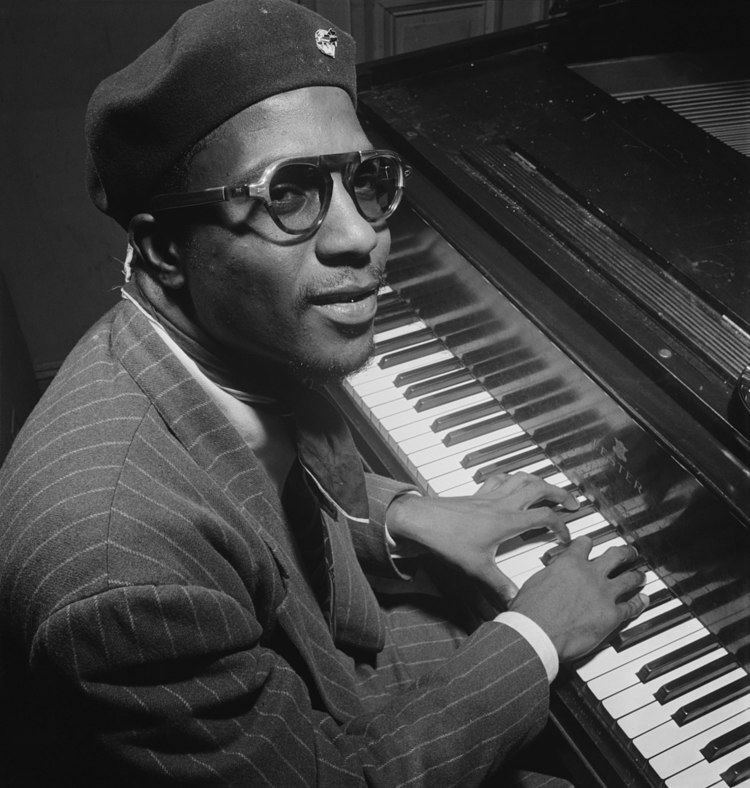 Monk started playing the piano at the age of six and was largely self-taught. He attended Stuyvesant High School, a public school for gifted students, but did not graduate. He toured with an evangelist in his teens, playing the church organ, and in his late teens he began to find work playing jazz. In the early to mid-1940s, Monk was the house pianist at Minton's Playhouse, a Manhattan nightclub. Much of Monk's style was developed during his time at Minton's, when he participated in after-hours cutting contests which featured many leading jazz soloists of the time. Monk's musical work at Minton's was crucial in the formulation of bebop, which would be furthered along by other artists, including Dizzy Gillespie, Charlie Christian, Kenny Clarke, Charlie Parker and, later, Miles Davis. Monk is believed to be the pianist featured on recordings Jerry Newman made around 1941 at the club. 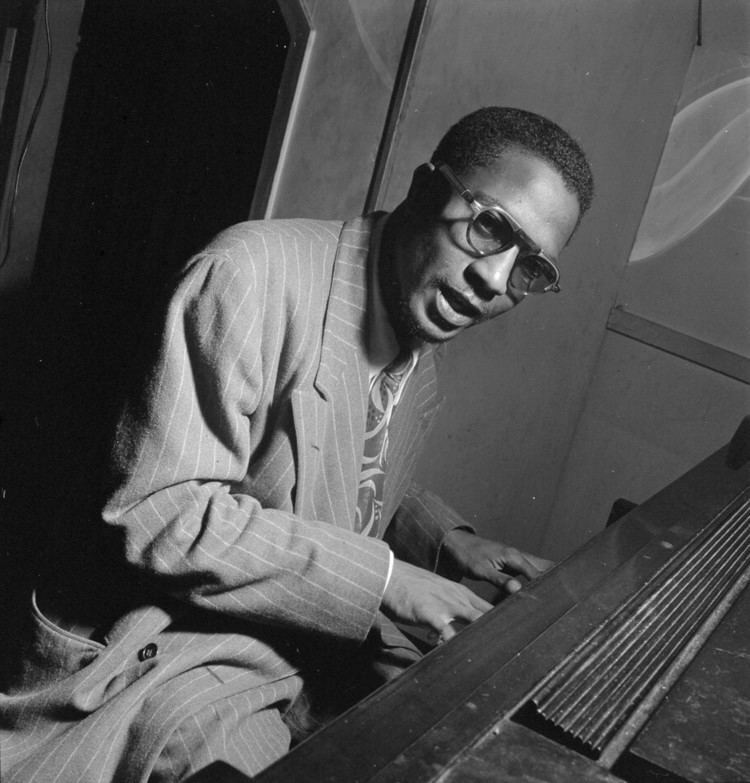 Monk's style at this time was later described as "hard-swinging," with the addition of runs in the style of Art Tatum. Monk's stated influences included Duke Ellington, James P. Johnson, and other early stride pianists. 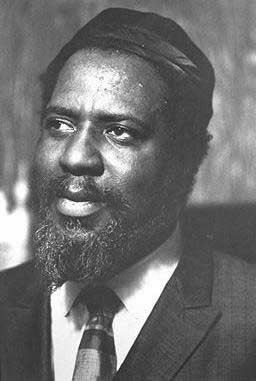 In the documentary Thelonious Monk: Straight, No Chaser, it is stated that Monk lived in the same neighborhood in New York City as Johnson and knew him as a teenager. Mary Lou Williams, who mentored Monk and his compatriots, spoke of Monk's rich inventiveness in this period, and how such invention was vital for musicians since at the time it was common for fellow musicians to incorporate overheard musical ideas into their own works without giving due credit. "So, the boppers worked out a music that was hard to steal. I'll say this for the 'leeches', though: they tried. I've seen them in Minton's busily writing on their shirt cuffs or scribbling on the tablecloth. And even our own guys, I'm afraid, did not give Monk the credit he had coming. Why, they even stole his idea of the beret and bop glasses." In 1944 Monk made his first studio recordings with the Coleman Hawkins Quartet. Hawkins was one of the earliest established jazz musicians to promote Monk, and the pianist later returned the favor by inviting Hawkins to join him on a 1957 session with John Coltrane. Monk made his first recordings as leader for Blue Note in 1947 (later anthologised on Genius of Modern Music, Vol. 1), which showcased his talents as a composer of original melodies for improvisation. Monk married Nellie Smith the same year, and in 1949 the couple had a son, T. S. Monk (called Toot), who became a jazz drummer. A daughter, Barbara (affectionately known as Boo-Boo), was born in 1953 and died in 1984 from cancer. In August 1951, New York City police searched a parked car occupied by Monk and friend Bud Powell. They found narcotics in the car, presumed to have belonged to Powell. Monk refused to testify against his friend, so the police confiscated his New York City Cabaret Card. Without this, Monk was unable to play in any New York venue where liquor was served, and this severely restricted his ability to perform for several years. Monk spent most of the early and mid 1950s composing, recording, and performing at theaters and out-of-town gigs. After his cycle of intermittent recording sessions for Blue Note during 1947–52, Monk was under contract to Prestige Records for the following two years. With Prestige he cut several highly significant, but at the time under-recognized, albums, including collaborations with saxophonist Sonny Rollins and drummers Art Blakey and Max Roach. In 1954, Monk participated in a Christmas Eve session which produced most of the albums Bags' Groove and Miles Davis and the Modern Jazz Giants by Davis. In his autobiography Miles, Davis claims that the anger and tension between them did not take place and that the claims of blows being exchanged were "rumors" and a "misunderstanding". On Brilliant Corners, recorded in late 1956, Monk mainly performed his own music. The complex title track, which featured Rollins, was so difficult to play that the final version had to be edited together from multiple takes. The album, however, was largely regarded as the first success for Monk; according to Orrin Keepnews, "It was the first that made a real splash." "Crepuscule with Nellie", recorded in 1957, "was Monk's only, what's called through-composed composition, meaning that there is no improvising. It is Monk's concerto, if you will, and in some ways it speaks for itself. But he wrote it very, very carefully and very deliberately and really struggled to make it sound the way it sounds. [... I]t was his love song for Nellie," said biographer Robin Kelley. Working with producer Teo Macero on his debut for Columbia, the sessions in the first week of November had a line-up that had been with him for two years: tenor saxophonist Rouse (who worked with Monk from 1959 to 1970), bassist John Ore, and drummer Frankie Dunlop. Monk's Dream, his first Columbia album, was released in 1963. Columbia's resources allowed Monk to be promoted more heavily than earlier in his career. Monk's Dream became the best-selling LP of his lifetime, and on February 28, 1964, he appeared on the cover of Time magazine, being featured in the article "The Loneliest Monk". According to biographer Kelley, the 1964 Time appearance came because "Barry Farrell, who wrote the cover story, wanted to write about a jazz musician and almost by default Monk was chosen, because they thought Ray Charles and Miles Davis were too controversial. ... [Monk] wasn't so political. [...O]f course, I challenge that [in the biography]", said Kelley. Monk continued to record studio albums, including Criss Cross, also from 1963, and Underground, from 1968. But by the Columbia years his compositional output was limited, and only his final Columbia studio record Underground featured a substantial number of new tunes, including his only waltz time piece, "Ugly Beauty". As had been the case with Riverside, his period with Columbia contains many live albums, including Miles and Monk at Newport (1963), Live at the It Club and Live at the Jazz Workshop, both recorded in 1964, the latter not being released until 1982. After the departure of Ore and Dunlop, the remainder of the rhythm section in Monk's quartet during the bulk of his Columbia period was Larry Gales on bass and Ben Riley on drums, both of whom joined in 1964. Along with Rouse, they remained with Monk for over four years, his longest-serving band. Monk had disappeared from the scene by the mid 1970s and made only a small number of appearances during the final decade of his life. His last studio recordings as a leader were made in November 1971 for the English Black Lion label, near the end of a worldwide tour with the Giants of Jazz, a group which included Gillespie, Kai Winding, Sonny Stitt, Al McKibbon and Blakey. 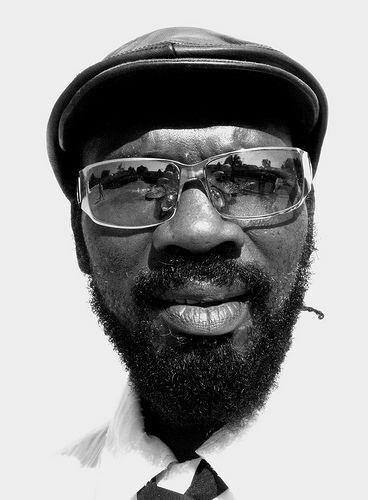 Bassist McKibbon, who had known Monk for over twenty years and played on his final tour in 1971, later said: "On that tour Monk said about two words. I mean literally maybe two words. He didn't say 'Good morning', 'Goodnight', 'What time?' Nothing. Why, I don't know. He sent word back after the tour was over that the reason he couldn't communicate or play was that Art Blakey and I were so ugly." A different side of Monk is revealed in Lewis Porter's biography, John Coltrane: His Life and Music; Coltrane states: "Monk is exactly the opposite of Miles [Davis]: he talks about music all the time, and he wants so much for you to understand that if, by chance, you ask him something, he'll spend hours if necessary to explain it to you." Blakey reports that Monk was excellent at both chess and checkers. 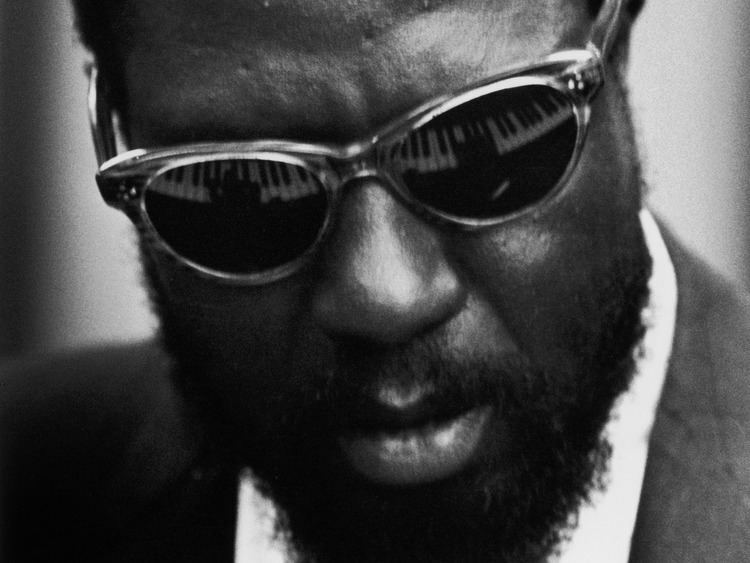 The documentary film Thelonious Monk: Straight, No Chaser (1988) attributes Monk's quirky behavior to mental illness. 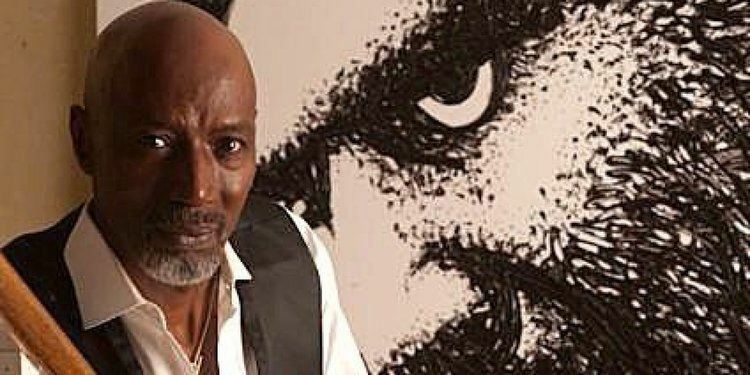 In the film, Monk's son says that his father sometimes did not recognize him, and he reports that Monk was hospitalized on several occasions owing to an unspecified mental illness that worsened in the late 1960s. No reports or diagnoses were ever publicized, but Monk would often become excited for two or three days, then pace for days after that, after which he would withdraw and stop speaking. Physicians recommended electroconvulsive therapy as a treatment option for Monk's illness, but his family would not allow it; antipsychotics and lithium were prescribed instead. Other theories abound: Leslie Gourse, author of the book Straight, No Chaser: The Life and Genius of Thelonious Monk (1997), reported that at least one of Monk's psychiatrists failed to find evidence of manic depression (bipolar disorder) or schizophrenia. Another physician maintains that Monk was misdiagnosed and prescribed drugs during his hospital stay that may have caused brain damage. As his health declined, Monk's last six years were spent as a guest in the Weehawken, New Jersey, home of his long-standing patron and friend, de Koenigswarter, who had also nursed Parker during his final illness. She proved to be a steadfast presence, as did his own wife Nellie, especially as his life descended into further isolation. Monk did not play the piano during this time, even though one was present in his room, and he spoke to few visitors. He died of a stroke on February 17, 1982, and was buried in Ferncliff Cemetery in Hartsdale, New York. In 1993, he was awarded the Grammy Lifetime Achievement Award. In 2006 he was awarded a special Pulitzer Prize for "a body of distinguished and innovative musical composition that has had a significant and enduring impact on the evolution of jazz." During his lifetime, his style was not universally appreciated. Poet and jazz critic Philip Larkin once dismissed Monk as "the elephant on the keyboard". Gunther Schuller wrote the work "Variants on a Theme of Thelonious Monk" in 1960. It was later performed and recorded by other artists, including Ornette Coleman, Eric Dolphy, and Bill Evans. Round Midnight Variations is a collection of variations on the song "'Round Midnight" premiered in 2002. Composers contributing included Milton Babbitt, William Bolcom, David Crumb. George Crumb, Michael Daugherty, John Harbison, Joel Hoffman, Aaron Jay Kernis, Gerald Levinson, Tobias Picker, Frederic Rzewski, Augusta Read Thomas and Michael Torke. That's The Way I Feel Now: A Tribute To Thelonious Monk (1984), a compilation album featuring rock and jazz musicians including Donald Fagen, Todd Rundgren, Peter Frampton, Carla Bley, Joe Jackson, Gil Evans and Was Not Was.